We look forward to welcoming you to our family Christmas tree farm in 2019! See who visited in 2018 on the photo gallery link below. 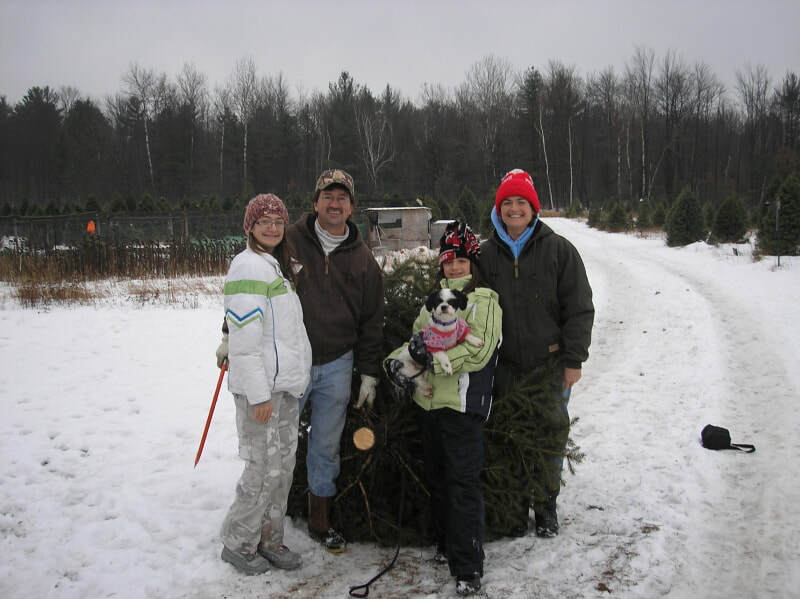 Offering a variety of Choose & Cut trees on our 109-acre farm, pre-cut locally sourced trees, and handmade wreaths. Located between Stevens Point & Wausau, just off Interstate 39. Featuring Balsam Fir, Fraser Fir, Blue Spruce, Norway Spruce, White Pine, and Scotch Pine. Most tree types can be found in a variety of sizes, from 5 ft to 10 ft+. Styles range from neatly trimmed and full, to more open and natural. Our trees are grown with earth-friendly farming practices using minimal or no fertilizers, herbicides or pesticides. Prices typically range from $25-$45. Enjoy your time exploring our beautiful, 109-acre land, featuring Christmas tree fields, forested areas, a river, wildlife, and more. ​Make it easy and drive right to your tree (while conditions allow). Or if you're seeking the classic experience, go for a long trek over the river and through the woods to find your perfect tree. It's up to you! Each year, a portion of all tree sales supports a charity. *Prices for standard size trees, 5'-8'. 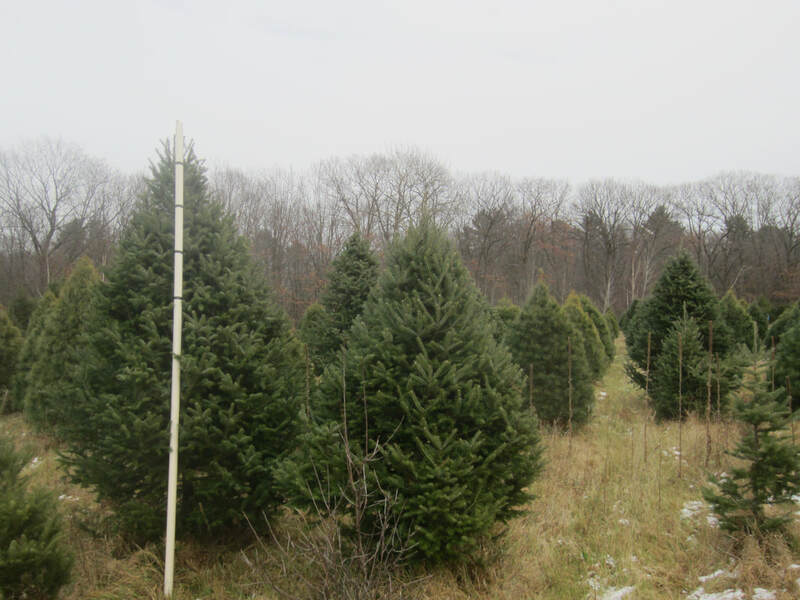 Larger trees, 8'-11' may be specially marked, usually $50-70 for taller fir and spruce trees. Table top trees, 4' and under may be sold at a discounted price. We are grateful for your help in supporting charities in our local community! 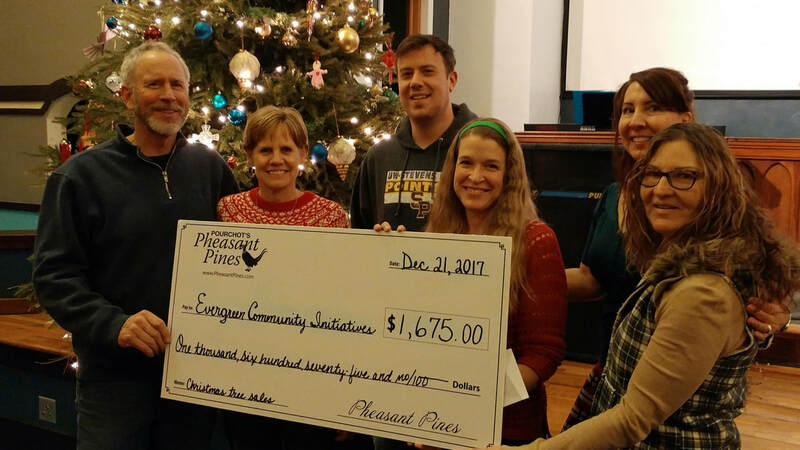 Past sales have benefited The Salvation Army, Portage County Youth on Ice, Head Start & Redeemer Lutheran Church Holiday baskets, and Evergreen Community Initiatives (ECI). Additionally, we participate in the Adopt-A-Highway program. Make Your Christmas or Someone Else's Even Merrier! * Gifting and brightening someone's Christmas! * Having a special tree for the kid's room. * Decorating for your yard or back deck.